The moment of truth came this morning: The nine-week-old fetus was to testify before the Ohio legislature in support of a bill to ban abortion at the first detection of a heartbeat. So much pressure! No wonder the fetus clammed up. According to news reports, that fetus — brought along by the carrier — was barely detectible, "only faintly audible and far from distinct," according to the Cleveland Plain Dealer. Luckily, the bill's major advocate, Faith2Action head, columnist, and noted birther Janet Porter, had brought along a fifteen-week-old fetus with its female incubator. 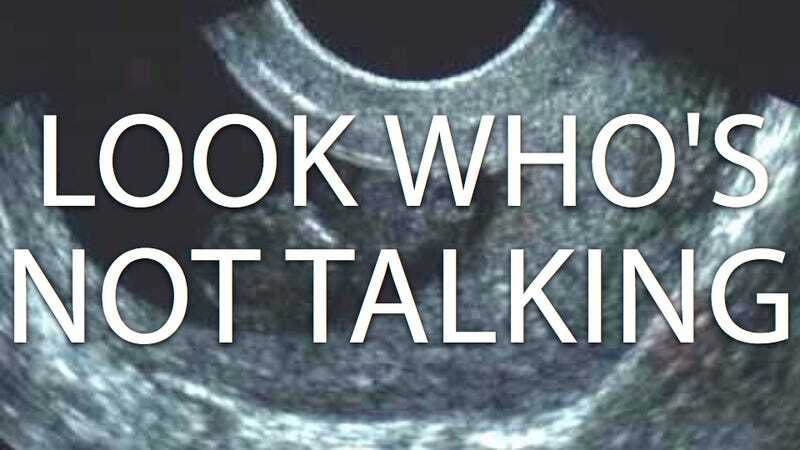 The entire stunt showed just how imprecise and unscientific the premise of the bill is; news reports have repeated that a fetal heartbeat can be detected as early as 18 days, which is clearly not always the case. According to a local news channel, "With 50 co-sponsors, the bill is likely to pass." If it becomes law, prepare for a legal battle up to the Supreme Court. And get ready for other states to follow Ohio's example: Oklahoma and Texas legislators are said to be watching closely.